For over 30 years, wastes treated with Fluid Tech products have been successfully accepted for disposition at radioactive, hazardous, and industrial waste disposal and storage facilities throughout the world. Fluid Tech’s absorbents and solidification agents will give you peace of mind knowing that your waste can meet even the most stringent waste acceptance criteria. And our Solidification Made Easy series gives customers the tools they need to make treating any waste with our absorbents and solidification agents a success. Fluid Tech….because compliance isn’t an option! Fluid Tech’s line of absorbents and solidification agents were developed for the safe, compliant, and cost-effective treatment of radioactive, hazardous and industrial wastes. Fluid Tech’s technologically enhanced and environmentally conscious products are slightly alkaline, non-flammable, non-reactive, non-corrosive, and biodegradable. 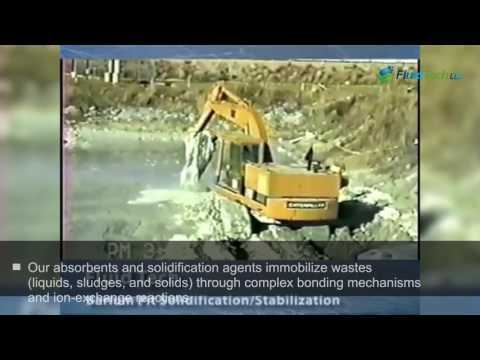 Our absorbents and solidification agents immobilize wastes (liquids, sludges, and solids) through complex bonding mechanisms and ion-exchange reactions. The result is an end product with excellent leach resistance for radioisotopes, heavy metals, and other hazardous constituents. Volumetric Efficiency – Volume increase of wastes treated using Fluid Tech products is typically less than 20%. Minimization of volume and weight increases results in container, transportation, and disposal savings as well as reduced generator liability. Leach Resistance – Fluid Tech products irreversibly bind radioactive and hazardous constituents through naturally occurring ion-exchange mechanisms and form inert solids, effectively stabilizing wastes both chemically and physically. Fluid Tech products are proven to keep radioisotopes, heavy metals, and other hazardous constituents from leaching, ensuring both long-term stability and compliance. Physical Integrity – Wastes treated with Fluid Tech products have withstood rigorous post-treatment acceptance criteria. Unlike polymer-based products, wastes solidified with Fluid Tech products will successfully maintain their physical integrity through freeze-thaw conditions and vibrational stresses encountered during transportation. This ensures that no incidental or free-standing liquids develop prior to inspection at the final disposition or storage facility. Adaptability - Fluid Tech products can be used alone or in combination with one another. While each product has its own specific attributes, there is literally no combination of wastes that cannot be successfully solidified. 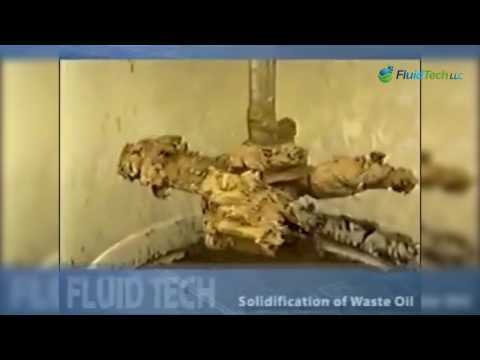 For over 30 years, Fluid Tech has been assisting its customers in the safe, compliant, and cost-effective treatment of radioactive, hazardous, and industrial wastes. Through its team of experts, Fluid Tech backs its products with the knowledge and experience to ensure that each of its customers has the support they need to manage the most problematic waste streams. 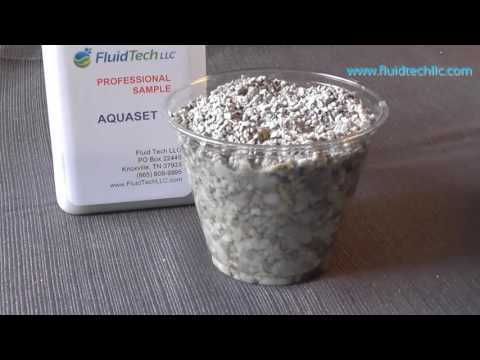 We’re confident that you’ll find using Fluid Tech’s line of absorbents and solidification agents easy.